This classic Gangster Costume gives you an instant slick look Jacket, Shirt with Tie and Trousers in a Pinstripe Zoot Suit design for any 20s theme. 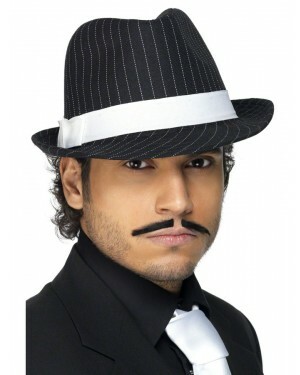 This classic Gangster Costume will instantly take you back to the Roaring 20s - transforming you into a suave mob man! The outfit comes complete with Jacket, Shirt with Tie and Trousers. The black Jacket has a classic white pinstripe with double breasted buttons at the front. 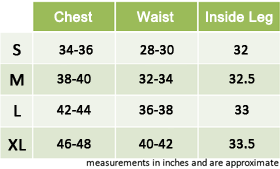 The Shirt and Tie insert sits under the lapels of the Jacket to create the look of a full shirt, with none of the discomfort! The coordinating pinstripe Trousers have a front pleat and elasticated waist for comfort. This Gangster Costume is an ideal choice if you’re looking for a classic 20s zoot suit.